The inaugural RegTech Data Summit on March 7th, 2018, connected agency leaders, Congress, regulated industries, and tech companies to define the future of this emerging policy area. Regulatory technology solutions – “RegTech” – can enable automation, reduce fraud, cut compliance costs, and provide analytics, but only if government and industry work together to organize regulatory data. 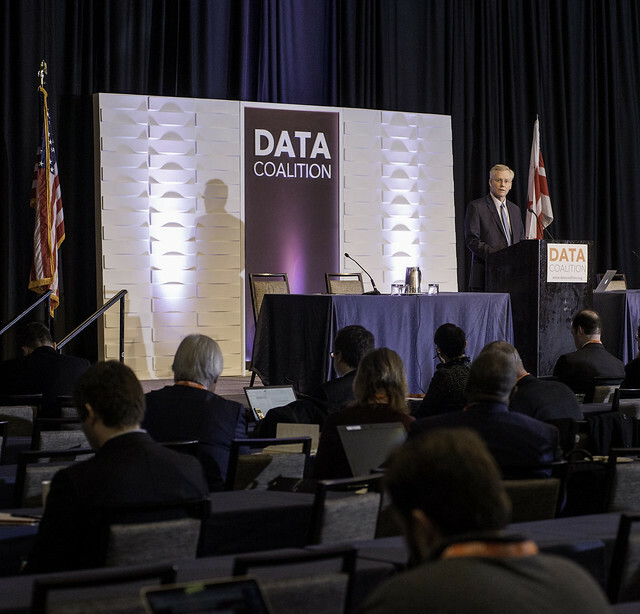 Our first-ever RegTech Data Summit connected agency leaders, Congress, regulated industries, and tech companies to define this future. The U.S. regulatory compliance structure is fragmented by industry and by purpose, making RegTech difficult to deploy. But by adopting the right data standards, we can enable new technologies to flourish. Enabled by data, RegTech solutions will make regulatory filings more efficient, transparent, and useful for everyone who generates, collects, and uses them. Policy initiatives like the Financial Transparency Act and Standard Business Reporting (SBR) will deliver these changes, create a new RegTech industry, and generate new opportunities to apply emerging technologies like blockchain. The RegTech Data Summit, on Wednesday, March 7th, explored how regulation, technology, and data can be brought together to solve challenges facing government, regulators and industry. Donnelley Financial Solutions’ white paper: How Data will Determine the Future of RegTech. Presenters slide decks are available via the agenda. Click on the hyperlinked session title to view a slide deck.